Our organization is one of the famous organizations in offering Napkin Dispensers which possess Best Quality in addition to Cheap Cost to our customers. Some of the remarkable characteristics of our range are striking colors, space and wonderful appearance. It is free from all types of flaws. This Napkin Dispenser available in both Mechanical and Electrical type. With the help of our skillful professionals, we have been able to provide our clients highly Quality range of Napkin Dispensers in addition to minimum Cost & also consist of more space for storage extra napkins, the offered vending machine is manufactured at our end using high grade material and modern technology in harmony with the market norms. Additionally, our vending machine is checked on quality parameters in order to deliver a flawless range. Transparent windows for availability of Napkins. Dispensing of the napkin at the drop of coin. “Epoxy Powder coated” with 7 time process. 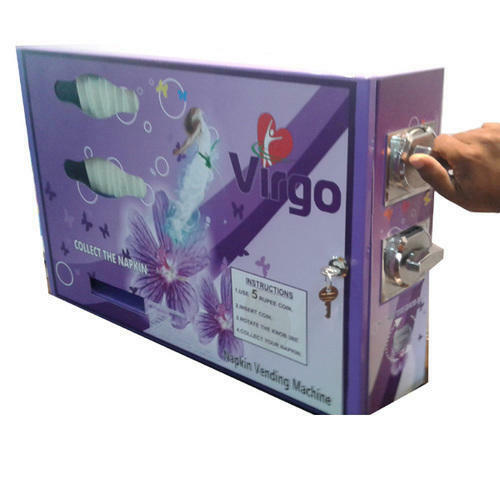 We are making hard effort to provide a High Quality range of Coin Operated Sanitary Napkin Dispenser with minimal Price to respected customers. We are having a high quality team of engineers. Quality conformed on various parameters. Sara Equipments - With the help of our skillful professionals, we have been able to provide our clients highly Quality range of Coin Operated Napkin Dispenser in addition to minimum Cost & also consist of more space for storage extra napkins, the offered vending machine is manufactured at our end using high grade material and modern technology in harmony with the market norms. Additionally, our vending machine is checked on quality parameters in order to deliver a flawless range. Sara Equipments - Our Company is a reliable name in this business and is engaged in presenting an enormous quality range of Manual & Electrical Sanitary Napkin Vending Machine to our customers. 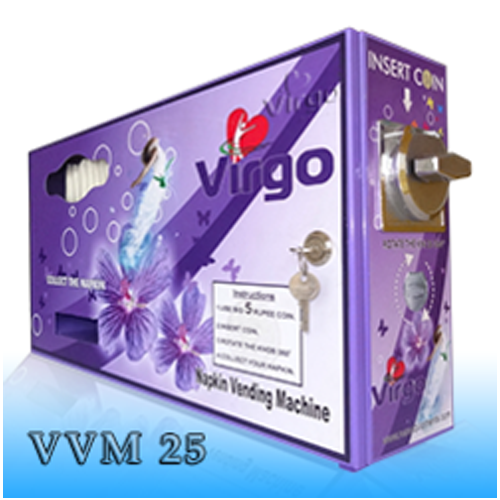 This sanitary napkin vending machine is admired by our clients for its excellent quality and optimum performance. 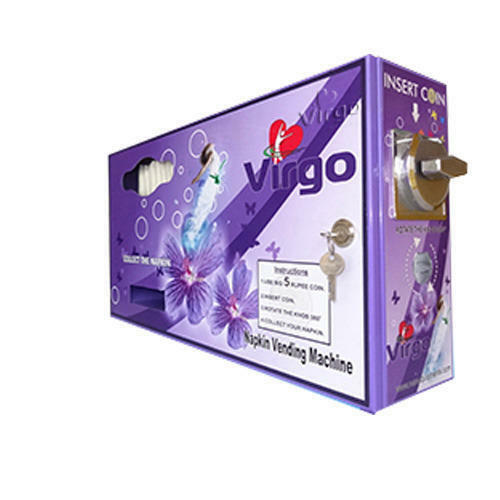 Additionally, we offer this sanitary napkin vending machine at market leading prices. 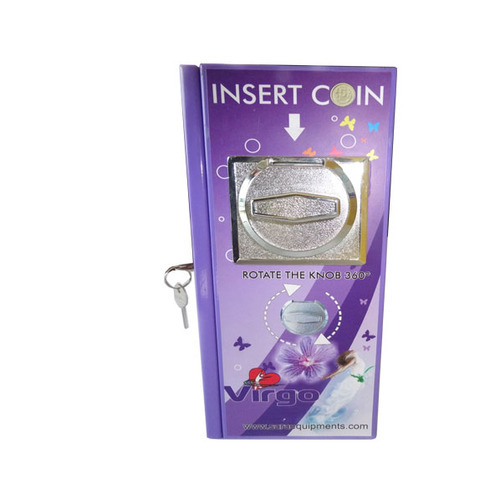 This sanitary napkin vending machine has high solid state electronic technology, space for storage of napkins, coin mechanism programmable for various denominations. With the help of our skillful professionals, we have been able to provide our clients highly Quality range of Napkin Pad Dispenser in addition to minimum Cost & also consist of more space for storage extra napkins, the offered vending machine is manufactured at our end using high grade material and modern technology in harmony with the market norms. Additionally, our vending machine is checked on quality parameters in order to deliver a flawless range.